Nike has dominated the sports apparel industry for a long time, but Adidas has consistently been up there as one of the best in the athletic apparel business. Their basketball shoes are no exception to this, and over the years they have developed some of the best kicks around. If you’re in the market for a new pair to elevate your game, this review will help you to find the best Adidas basketball shoes this 2019 season. How did Adidas basketball shoes become so popular? 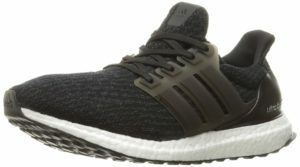 Adidas Performance Men’s Ultra Boost Shoe Review: The Adidas Ultra Boost is one of the most comfortable and explosive shoes available, let alone made by Adidas. It isn’t called Ultra Boost for no reason; Adidas have incorporated an ultra-cushioned boost to keep your foot extremely comfortable. On top of that, it will help you to jump as high as you ever had before, with each push-off providing you with a little extra boost to grab that rebound, or make that game-changing dunk. The Primeknit upper changes shape to fit your foot as you run, ensuring that the comfort and support provided by this shoe is second to none. The supportive cage inside keeps your foot locked in place to prevent injury, allowing you to focus on what’s important out on the floor. This might be the best Adidas basketball shoe this 2019 season, and is definitely worth considering. Adidas Crazy Explosive Primeknit Review: This is the best Adidas basketball shoe under $100. The Adidas Primeknit excels in both the comfort and support it provides, making it the ideal shoe for a tough game of basketball. The Primeknit technology wraps the foot in a supportive layer, ensuring you’ll be able to cross up your opponent without worrying about your own ankles. The cushioning is incredibly explosive, allowing you to get up higher than anyone else on the floor, while the sock-like interior provides you with a huge level of comfort. The rubber sole makes it suitable for all surfaces, indoor or outdoor, and ensures this shoe will last you a long time. This shoe is comfortable, supportive, durable, and allows you to maximize your ability; what more could you ask for? Adidas Women’s Vs Hoops Mid 2.0 W Review: This is a great all-round shoe for women. It’s comfortable, supportive and looks great, and on top of that it comes in at just a fraction of the cost of many similar shoes. The Women’s Vs Hoops provides terrific support across the whole foot, meaning you’ll be more able to focus on scoring big on your opponent. The comfort is second to none, with this shoe encasing your foot like a glove. These synthetic shoes have a rubber sole, meaning that you can use them on abrasive surfaces without having to worry about destroying them. 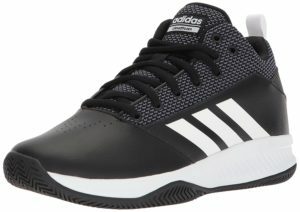 For indoors or outdoors, these are a great pair of shoes, and are overall the best Adidas basketball shoes for women that you’ll find. Adidas Neo Cloudfoam Kids Review: Kids don’t like being uncomfortable, and this is particularly the case when they are playing a tough sport like basketball. It is for that very reason that these are the best Adidas basketball shoes for kids. The Cloudfoam Kids shoe feels incredibly soft to wear. It has a cloud foam midsole, which provides a huge amount of cushioning, and on top of that has a comfortable textile lining. It feels soft and supportive throughout the entire foot, meaning your child will be able to focus their energy on developing the fundamentals of the games, rather than their uncomfortable footwear. These also come in pretty cheap, so even if your child’s feet suddenly grow two sizes – as they tend to do – you won’t be too far out of pocket. Adidas Men’s Dame 3 Review: Damian Lillard has, for a number of years, been trying to prove that he can match it with the best of them, and it’s only fair that a player of his caliber gets naming rights to a high quality shoe. That’s exactly what this is. This synthetic shoe has it all; comfort, support and durability, meaning you’ll get great use out of it for a long time. They also look fantastic, and you’ll be able to wear these off the basketball court as well. Another great benefit of these shoes is that you can find them very cheap. Often, these will come in at under $50, an absolute steal considering their quality. These are a great pair of shoes at a great price, and are the best Adidas basketball shoes under $50. Adidas Men’s CF Ilation 2.0 Review: These Adidas shoes are a little bit cheaper than many others, but there is a reason for it. They aren’t particularly good quality, and if you’re looking for a pair of shoes that you’re going to get good use out of for a long time, then perhaps look elsewhere. These are a very wide pair of shoes, so many people with wide feet see them as a suitable option, but even if this is you there are many better choices out there. They will begin to come apart relatively quickly, and if you’re using them frequently then you’ll likely be forced to buy a new pair before too long. This is one of the worst Adidas basketball shoes this 2019 season, so you’d be better served looking elsewhere. Adidas Women’s Tubular Shadow Review: These shoes look kind of cool, but aside from that there aren’t many reasons why you would bother with these for basketball. Many users complain that they are particularly uncomfortable; some say that they are very stiff and hard inside, others complain that they are far too bulky and difficult to move around in. Considering how important rapid movements are in basketball, a stiff, bulky pair of shoes is far from ideal. If you buy these, you’ll spend more time worrying about your feet than your opponent, and that will only serve to distract you from your game. This is not a great product, so avoid these Adidas basketball shoes for women. Adidas Kids’ Questar Drive K Review: Adidas’ kids shoes generally tend to be a little bit lower in quality than their equivalent adult products, but this one in particular is one of the worst Adidas basketball shoes for kids. In terms of comfort and support, it’s okay; not outstanding, but it’s far from the worst shoe you’ll find in that regard. It is not at all durable though, and after a few uses it often begins to come apart. It isn’t ideal to have your kid running around on the floor with a pair of shoes that are falling apart, and unfortunately that is a realistic possibility with this shoe. They seem to be particularly fragile around the toe, where they regularly seem to open up. Definitely a shoe to avoid. You might think that narrowing your search for basketball shoes down to Adidas products will make it easy, but you’d be wrong. There are a plethora of options available from this brand, so choosing the right shoe for you still requires a lot of thought. Here are some of the most important factors that you need to consider before you buy. 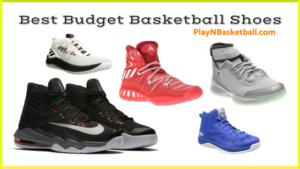 Price: Adidas offers basketball shoes at a wide range of prices, from budget shoes to the absolute top-end, and plenty in between. As a result, you’ll need to decide roughly how much you’re willing to spend before you begin your search. If you do this, you’ll be able to narrow down your options considerably, and make the whole process a lot more efficient than it would otherwise be. If you’re willing to spend top dollar to find the best shoes possible, you’ll be able to find Adidas basketball shoes well into the hundreds of dollars. Conversely, if you just want a cheap pair that will do a reasonable job of keeping you supported and comfortable, you’ll be able to find shoes that will do just that for under $50. It all depends on what you’re willing and able to spend, and Adidas caters for all budgets. Support: The nature of basketball means that playing it places a lot of stress on your feet and ankles. There are a whole lot of rapid stop-start movements, changes in directions, and of course jumping as you compete for that contested board. As a result, one of the most important factors that you need to consider when looking for a pair of basketball shoes is the support they will provide. 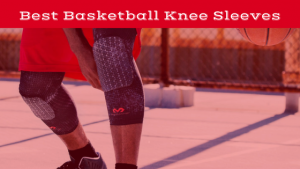 The best basketball shoes will make a genuine difference to the likelihood of you sustaining an injury, keeping your foot firmly in position and reducing the chance of you rolling an ankle. In contrast, if they aren’t supportive then it’s much more likely that you will obtain an injury, or at the very least, leave the court with some pretty worn out feet and ankles. As a result, ensuring you buy a pair that offers great support is imperative. Comfort: You can have all the support from a shoe in the world, but if you’re running around out on the floor thinking about how sore your foot is, and ending the game with blisters all over your heels, then you aren’t going to perform to your best. How are you going to be able to close down your opponent for a chase down block when you’re thinking about the blisters on your feet? You’ll be much more inclined to just let them have it and save yourself a little bit of pain, and this isn’t ideal for either you or your team. A good pair of shoes will ensure you feel as comfortable as humanly possible out on the floor, and with such a pair you won’t need to even think about your feet throughout the course of the game. This will allow you to focus on what’s important, and get the best out of yourself. Quite simply, by continually being of an incredibly high quality, as well as marketing and design collaboration success with Kanye West and the Adidas Yeezys. Adidas have been around for a long time, and it would be a lie to say that their success in other aspects of sports apparel haven’t contributed to the popularity of their shoes. Even if they were purely a shoe based brand though, there’s no doubt that their shoes would still have become some of the most popular in the world. Though they certainly miss the mark on occasion, Adidas generally create some of the most comfortable, supportive and stylish basketball shoes on the market, and it’s for that reason that so many swear by these shoes. With so many Adidas basketball shoes on offer, it can seem like an impossible task to differentiate between different pairs, and find the best shoes for you. 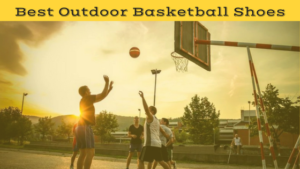 With this article, however, you’ve received some valuable advice about what to look for in a pair of Adidas shoes, as well information on the best Adidas basketball shoes this 2019 season. You should have no problems anymore.